1981. Trek America twenty-one day trip from New York to Los Angeles driving across the southern Great Plains of the United States of America. Highlights of the trek include visits to The Heye Museum, Monticello the home of Thomas Jefferson and the Alamo in San Antonio, Texas. 1982. Greyhound and Trailway’s bus rides from Los Angeles, California to Denver, Colorado and up into the Black Hills of South Dakota. Located in Custer, South Dakota for twenty-three days. Daily visits to Korczak Ziolkowski’s Crazy Horse Memorial Mountain Carving. Andrew Hogarth photographs Oglala-Brule-Lakota Jack Little and his American wife Shirley at the Crazy Horse Memorial Visitors Centre. 1983. Six page black and white article titled A Culture Died At Wounded Knee published in the Sydney Ethnic News Review Magazine at Service Press, Waterloo, Sydney, New South Wales, Australia. 1984. Two six page articles titled The Little Bighorn, 25th, June,1876 and In Search Of An Identity: The Teton Sioux published in the Sydney Ethnic News Review Magazine at Service Press, Waterloo, Sydney, NSW, Australia. 1984. Andrew Hogarth travels to the northern Great Plains of the USA to photograph historical sites from the Indian Wars period 1854-1890. 1984. Media review published in the Custer County Chronicle Newspaper, Custer, Black Hills, South Dakota. 1984. 2,500 copies of Light at the end of the tunnel printed at MAPS Litho in Sydney, NSW, Australia. The publication includes a chapter by Oglala-Brule-Lakota Jack Little documenting aspects of his life’s journey. 1984. Media reviews published in the Daily Telegraph, Saturday Telegraph and Daily Mirror Newspapers, Sydney, NSW, Australia. Eagles guitarist Joe Walsh purchases four copies of Light at the end of the tunnel from Andrew Hogarth while visiting Sydney. 1985. 2,000 copies of Light at the end of the tunnel are sold to museums and bookstores in the Great Plains region of the USA. Media Reviews are published in the Rapid City Journal and the Custer Chronicle Newspapers in South Dakota. A media review is also published in the Riverton Ranger Newspaper in Wyoming. 1985. Book signings of Light at the end of the tunnel are held at Your Bookstore in Gillette, Wyoming and B. Dalton’s Booksellers in Rapid City, South Dakota. 1986. 350 copies of The Teton Sioux printed at A. Windsor & Sons, Waterloo, Sydney, NSW, Australia. A media review is published in The Guardian Newspaper, Sydney, NSW, Australia. 1986. 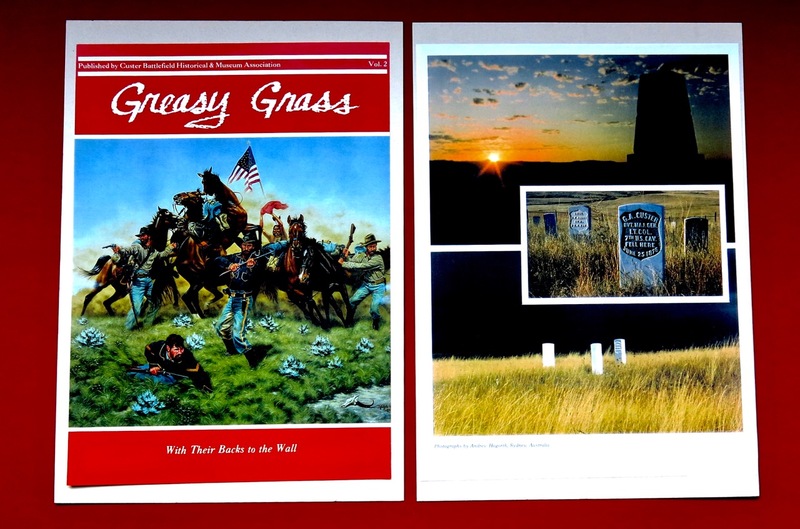 The Custer Battlefield National Monument in Montana publish three images of Andrew Hogarth’s battlefield photographs in their annual magazine Greasy Grass. 1986. 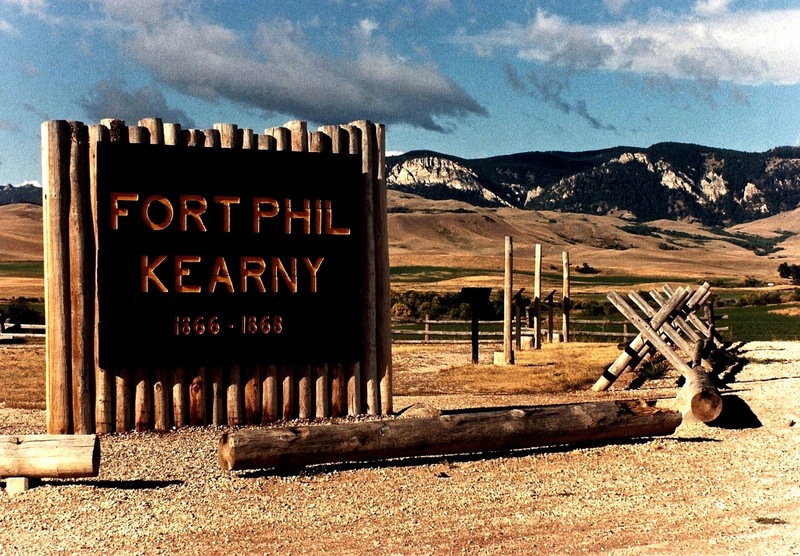 The Fort Phil Kearny / Bozeman Trail Association in Sheridan, Wyoming publish two photographic images on the cover of their Lookout Quarterly Magazine. 1988. 350 copies of Battlefields, Monuments and Markers: A Guide to Native American-United States Army Engagements 1854-1890 printed by A. Windsor & Sons, Waterloo, Sydney, NSW, Australia. A media review is published in the Daily Telegraph Newspaper Sydney, NSW, Australia. Andrew Hogarth gives a live to air radio interview in Canberra, ACT. 1989. Andrew Hogarth photographs Ceremonial Chief of the Lakota Nation Frank Fools Crow on the twenty-fifth of June, 1989 during a Oglala-Lakota powwow to commemorate the fiftieth Anniversary of the Badlands National Park at Cedar Lodge, South Dakota. Frank Fools Crow was born around the time of the Wounded Knee Massacre in 1890. His grandfather Knife Chief participated in the Battle of the Little Bighorn in 1876. 1989. 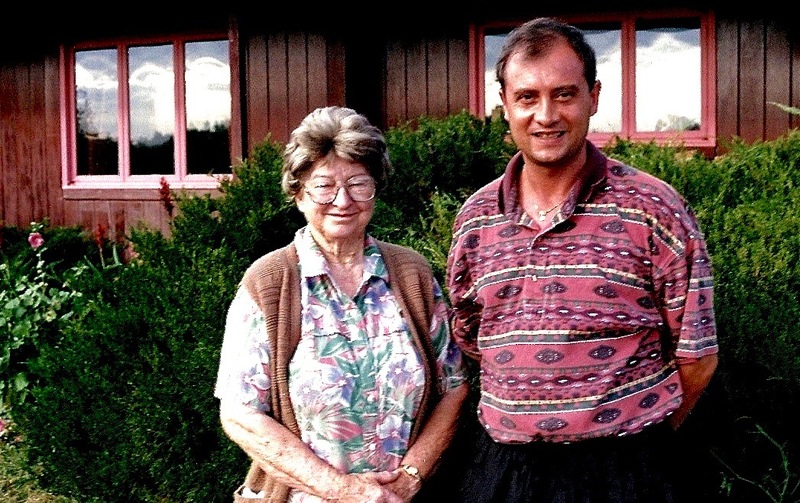 Andrew Hogarth meets western artist John Clymer at the Wort Hotel in Jackson Hole, Wyoming in August, 1989. 1989. 350 copies of The Great Plains Revisited Hardback Edition printed by Robert Burton in Sydney, NSW, Australia. The book includes the complete series of nine photographic images of Ceremonial Chief of the Lakota Nation Frank Fools Crow. Media reviews are published in the Daily Telegraph and The Weekend Australian Newspapers. Mode Magazine in Sydney also prints an article about the publication in their book section. 1989. Andrew Hogarth photographs Northern Cheyenne Tribal Historian Bill Tallbull at the Lame Deer Battlefield in Montana. Bill’s great grandfather Chief Tall Bull was the leader of the Southern Cheyenne Dog Soldiers who participated in and was killed during the Battle of Summit Springs, Colorado in 1869. Bill’s grandfather Jacob travelled with Chief Dull Knife and was a participant in the Battle of the Little Bighorn in 1876. Both Bill’s grandfather and grandmother survived the Sand Creek Massacre in 1864. 1990. Mary Ellen McWilliams presents Andrew Hogarth with the Fort Phil Kearny / Bozeman Trail Association Spur Club Award for his historical battlefield photographic contributions to the association’s library in Sheridan, Wyoming. 1991. 1,000 copies of Cheyenne Hole: The Story of the Sappa Creek Massacre 23rrd April, 1875 twenty-four page booklets are printed by MAPS Litho in Sydney, NSW, Australia. Media reviews are published in the Sunday Telegraph and The Guardian Newspapers in Sydney, NSW, Australia. 1991. 500 copies of Cheyenne Hole are published in the United States of America by the Last Indian Raid Museum, Oberlin, Kansas. Profits from the sale of the publication are to be set aside for a future fund to place a monument at the site for in memory of the Cheyenne casualties who lost their lives. 1992. 6,000 copies of Lakota Spirit: The Life of Native American Jack Little 1920 to 1985 are printed by MAPS Litho in Sydney, NSW, Australia. 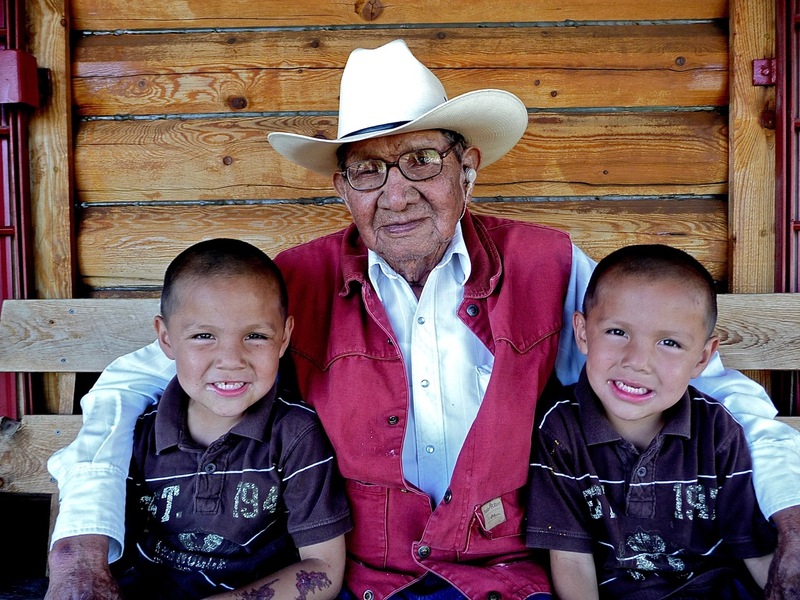 Jack Little was born on the 18th April, 1920 at Spring Creek on the Rosebud Reservation in South Dakota. His mother came from the band of Chief Rain-In-Face who fought at the Battle of the Little Bighorn with his followers in 1876. On the day Jack was born a medicine man called Crazy Cat walked through a snowstorm to his parents tepee to give him his baby name “Hahu.” Jack’s grandmother and grandfather Mahalhpaya both survived the Wounded Knee massacre of 1890 on the Pine Ridge Reservation in South Dakota. Jack served in the Merchant Service during World War II. Jack zig-zagged across America during his working lifetime and he worked at various jobs that included time spent with a wild west show. Jack eventually settled in his beloved Paha Sapa (Black Hills) as guide/lecturer at Korczak Ziolkowski’s Crazy Horse Mountain till his death in 1985. Shirley Little wrote the manuscript for “Lakota Spirit.” Media review published in the Sunday Telegraph Newspaper, Sydney, New South Wales, Australia. 1992. Andrew Hogarth travels to the Sand Hills of Nebraska and visits with Caroline Sandoz Pifer the sister of Mari Sandoz author of “Old Jules,” “Cheyenne Autumn” and “Crazy Horse: The Strange Man Of The Oglalas.” Their father Jules Sandoz emigrated from his native Switzerland to America and settled in and around the Fort Robinson region of northwestern Nebraska in 1884. Mari Sandoz a prolific writer on western history, said of her most interesting upbringing “I was born in the homestead period of northwest Nebraska.” Caroline Sandoz Pifer has continued to publish Mari’s letters in book format since the death of her sister in 1966. 1993. 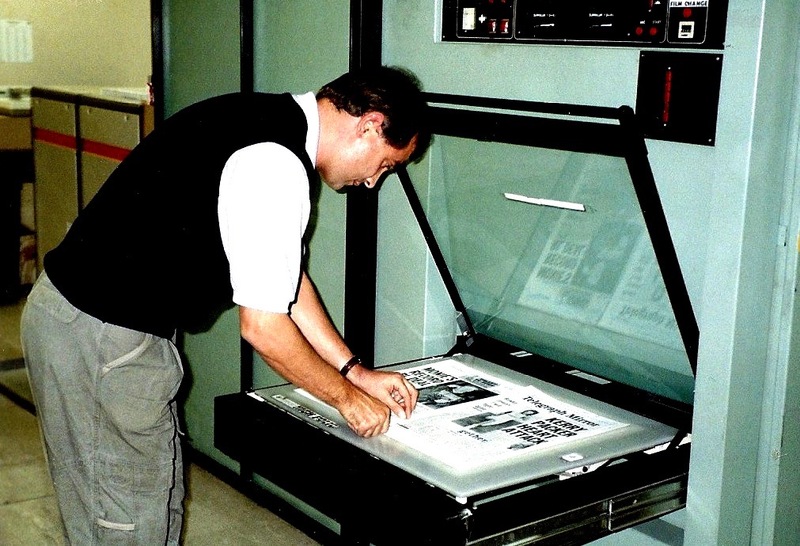 2,500 copies of the black and white photographic book Native Lands: The West of the American Indian, 1982-1992 are printed by MAPS Litho in Sydney, NSW, Australia. 1994. 4,500 copies of Battlefields, Monuments and Markers: A Guide to Native American – United States Army Engagements 1854-1890 are printed by MAPS Litho in Sydney, NSW, Australia. Updated second edition (1987). 1994. 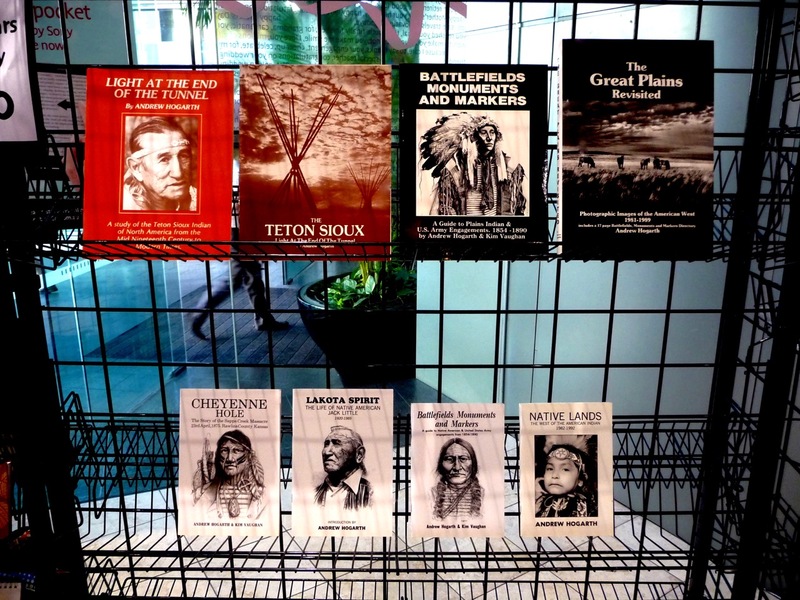 Cheyenne Hole, Lakota Spirit, Battlefields, Monuments and Markers and Native Lands published by Andrew Hogarth, are housed in the Mari Sandoz Room at the Nebraska University Love Library, Lincoln, Nebraska, USA and the Western History Collection at the University of Oklahoma, Norman, Oklahoma, USA. Hogarth’s books are also housed in the State Library of New South Wales. The University of Sydney and The National Library of Australia in the ACT. 1994. Native Lands: The West of the American Indian photographic exhibition debuts at the Graphis Fine Art Gallery in Woollarha, Sydney, NSW, Australia. Officials from the United States Consulate in Sydney attend the opening night and purchase three photographic images. Media reviews are published in the Daily Telegraph, The Weekend Australian, The Drum Media and The 3D World Music Newspapers. ABC Television Marketing highlight eight images from Native Lands at the number one slot on Qantas Domestic Inflight Video nationally for two weeks. Ariel Booksellers, Oxford Street, Sydney display Native Lands poster series and books during the first week of the Native Lands exhibition. 1995. Native Lands: The West of the American Indian photographic exhibition is exhibited at the 20th St Thomas’ Willoughby Art & Craft Show, Sydney, NSW, Australia. 1995. Andrew Hogarth delivers 4,000 books from Sydney, Australia to museums, historical societies and book stores located on the Great Plains of the USA. Outlets included: The Gilcrease Museum, Fort Abraham Lincoln, Buffalo Bill Historical Center, Fort Meade Cavalry Museum, Crazy Horse Mountain, Fort Casper Museum, Big Horn County Museum, Wyoming Pioneer Memorial Museum, Fort Robinson Trailside Museum, Akta Lakota Museum, Rockpile Museum, Jim Gatchell Museum, Fort Phil Kearny Museum, Jackson Hole Museum, Museum of the Yellowstone, The Range Riders Museum, Anne Miller Museum, Chief Plenty Coups Museum. 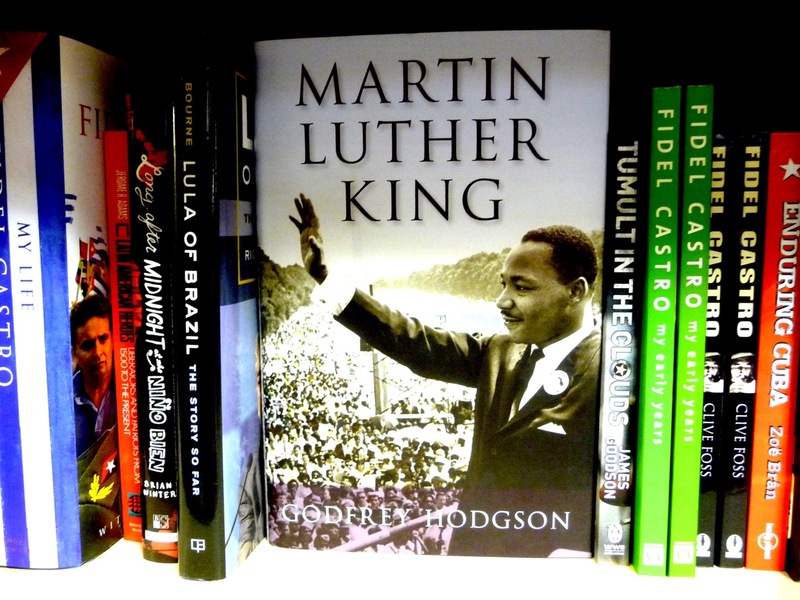 A book review is published in the Rapid City Journal, South Dakota, USA. 1995. Forty copies of the booklet Lakota Spirit are donated to Native American schools on the Pine Ridge and Standing Rock Reservations in South Dakota, USA. 1995. Andrew Hogarth photographs Bill Groethe in Rapid City, South Dakota. 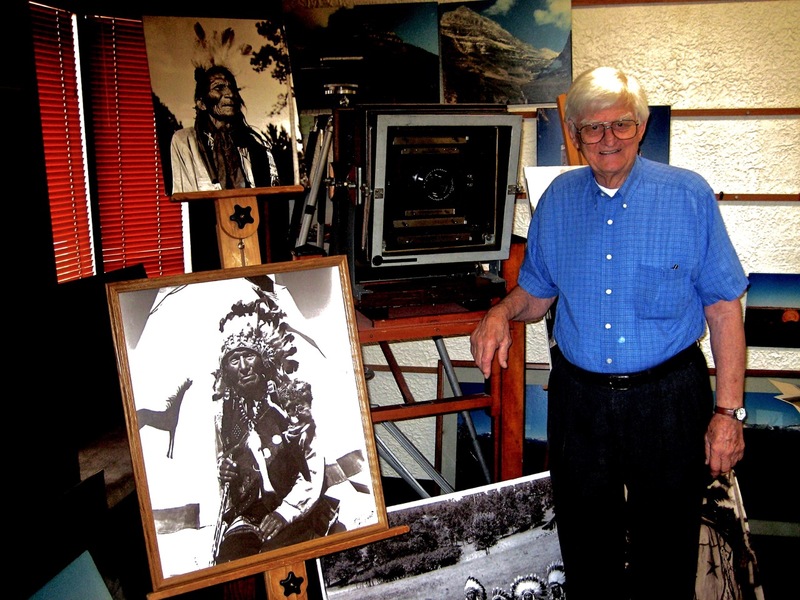 As a twenty-four year old apprentice photographer in 1948, Bill was sent by Bell Studios to the Black Hills of South Dakota to photograph the last nine Lakota-Sioux survivors from the 1876 Little Bighorn Battle in southeastern Montana. Bill Groethe’s images of High Eagle, Black Elk, John Sitting Bull, Dewey Beard, Pemmican, Little Soldier, Iron Hawk, Little Warrior, Comes Again were lost for forty-two years but re-surfaced again in 1990 and were returned back to Mr Groethe. 1995. Invited by Jim Gilligan to attend the Chief Sitting Bull Nineteenth Annual Pipe Ceremony to commemorate the life of the Hunkpapa-Lakota leader at Bear Butte Mountain in South Dakota. Fifty-seven individuals participate in the ceremony including the relatives of Sitting Bull from the Standing Rock Reservation in North Dakota, USA. 1995. Rushmore News Inc in Rapid City, South Dakota, USA publish four images in postcard format. Two images are of the Mount Rushmore Memorial in the Black Hills, South Dakota, USA. 1995. Andrew Hogarth meets the President of the United States Bill Clinton at the Arcadian Restaurant in Jackson Hole, Wyoming, USA. 1996. Battlefields, Monuments and Markers photographic exhibition debuts at the Gallery of the American Legend in Custer, South Dakota. Media reviews are published in the Rapid City Journal, Indian Country Today and the Custer Chronicle Newspapers in South Dakota. Live to air interview on KLVN Midday Television Show in Rapid City, South Dakota, USA. 1996. 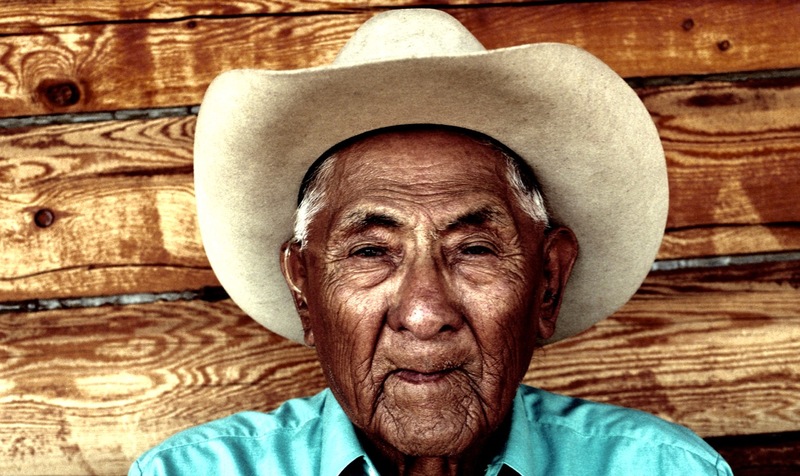 Native Lands: The West of the American Indian photographic exhibition debuts at the Wyoming Pioneer Memorial Museum in Douglas, Wyoming during the Annual State Fair. The Jackson Hole Museum exhibits Native Lands during the internationally renowned Fall Arts Festival. Media reviews are published in the Jackson Hole and Casper Newspapers in the state of Wyoming, USA. 1996. 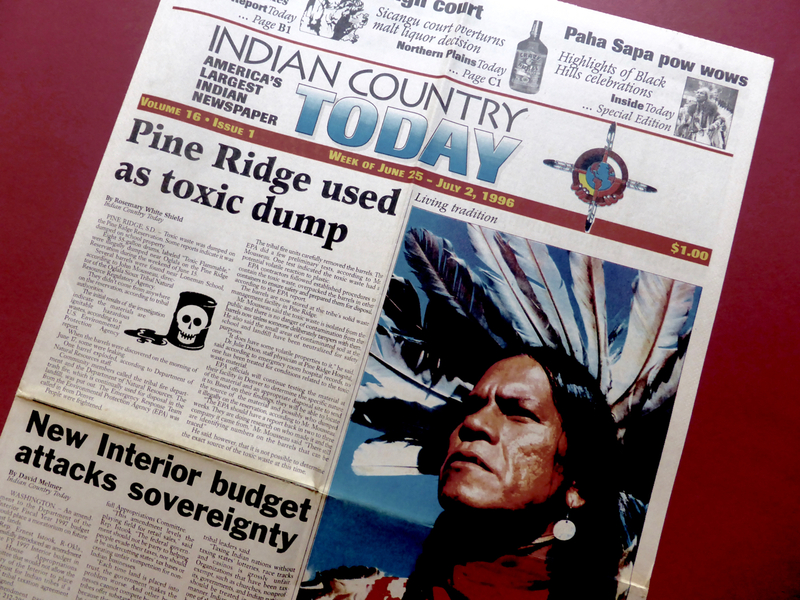 Indian Country Today Newspaper, Rapid City, South Dakota, USA publish a photographic image of Raymond Cree from the Yakima-Cree-Umitilla Nations on their front cover broadsheet nationally across the country. 1996. 4,000 copies of Cheyenne Hole, Lakota Spirit, Battlefields, Monuments and Markers and Native Lands are distributed and sold during the summer season Great Plains, USA road trip of 1996. 1996. Battlefields, Monuments and Markers: The American West photographic exhibition is selected by the Rockpile Museum in Gillette, Wyoming, USA for a winter season showing. 1997. 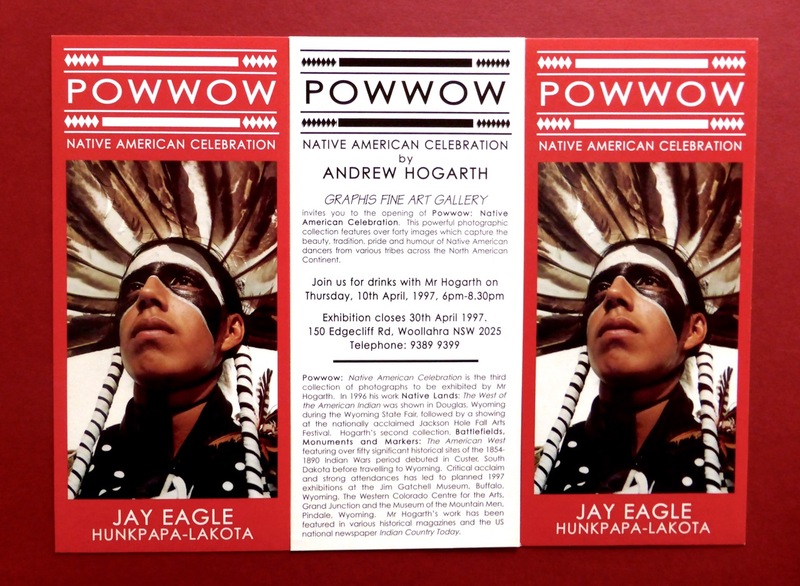 Powwow: Native American Celebration debuts at the Graphis Fine Art Gallery, Woollahra, Sydney, NSW, Australia. Media reviews are published in the Daily Telegraph, Sunday Telegraph, and Australian National, 3D World Music Newspapers and the Australian Camera Magazine. Television segments by SBS World News, Channel Seven Saturday Disney Show and Channel Ten Monday to Friday Afternoon Talk Show with Greg Evans and Joan Hardy. Live to air radio interviews with ABC Radio Newcastle and 2RES Radio Eastern Suburbs, NSW, Australia. 1997. Native Lands: The West of the American Indian is exhibited at the Jim Gatchell Memorial Museum in Buffalo, Wyoming, USA. Edited article of Oglala-Brule-Lakota Jack Little’s life story is published in the Jim Gatchell Museum Magazine The Sentry. 1997. Battlefields, Monuments and Markers: The American West is exhibited at the Museum of the Mountain Man in Pinedale, Wyoming, USA. 1998. Strong Hearts: Images of Native America are exhibited at the D&Q Art Gallery, Darlinghurst, Sydney, New South Wales, Australia. Media reviews are published in the Revolver and 3D World Music Newspapers. Live to air radio interview with ABC Radio Newcastle, NSW, Australia. 1998. Powwow: Native American Celebration photographic exhibition is one of fourteen new art formats picked for a three year national tour of the United States of America and Canada by Missouri based touring company Exhibits USA. The tour will commence in October 2000 and hold seven five week shows annually closing October 2003. Exhibit USA advertise through their catalogues to 8,000 museums, art centers, university galleries and community art spaces across the United States of America. 1998. Andrew Hogarth donates the Native Lands: The West of the American Indian and Battlefields, Monuments and Markers: The American West framed prints from his United States of America exhibitions to Chief John Sipes Jr representing the traditional people of the Southern Cheyenne Nation in western Oklahoma, USA. 1999. Photographic images of Sydney singer/ songwriter Mark Lucas are published on the front and back cover of the country musical album Jukebox Jury. 1999. Andrew Hogarth photographs Francis and Cerise Stewart at the Annual Crow Fair in southeastern Montana. Francis Stewart aged in his late nineties is a Crow Tribal Shaman, and one of the last Crow elders to still perform ceremonies in the old tradition. Hogarth photographs Caroline Sandoz Pifer, sister of western author Mari Sandoz. In 1930 Caroline travelled down to the Pine Ridge Reservation with her sister Mari to interview Lakota Chief He Dog the boyhood friend of Chief Crazy Horse. He Dog was aged 90 years of age. 1999. A photographic image of Gaboo Ted Thomas the Aboriginal Spiritual Healer is published in the biography of internationally renowned Aboriginal activist Burnam Burnam by Schuster & Schuster Publishers, Sydney, New South Wales, Australia. 2000. The National Civil Rights Museum in Memphis, Tennessee, USA select the Powwow: Native American Celebration photographic exhibition to open the Powwow National Tour of the United States of America in October, 2000. The museum was built on the site of the Lorraine Motel where Dr. Martin Luther King was assassinated. The exhibit is also booked by the Museum of the Mountain Man, Pinedale, Wyoming, The Jim Gatchell Memorial Museum, Buffalo, Wyoming, The Shafer Art Gallery, Great Bend, Kansas, The Memorial Union Gallery, Fargo, North Dakota, The Clark County Heritage Museum, Las Vegas, Nevada, The McLean County Museum of History, Bloomington, IL, The Plains Indian and Pioneers Museum, Woodward, Oklahoma, The Sam Noble Oklahoma Museum of Natural History, Norman, Oklahoma and the Museum at Warm Springs, Oregon, USA. 2000. Exhibits USA is a national division of Mid-America Arts Alliance. Founded in 1972, Mid-America Arts Alliance’s mission is to transform lives and build communities by uniting people with the power of art. Mid-America Arts Alliance is a private, not-for-profit arts organisation. Its activities encompass traveling exhibitions, performing arts touring programs, special projects, artist residencies, and related services. Exhibits USA tour forty-four art formats annually, with eleven exhibits on photography. Let Us March On! Selected Civil Rights Photographs 1955-1968: By Ernest C. Withers. Three Decades of Callahan 1960-1990: Photographs by Harry Callahan. On the Edge of Time: Photographs by Mariana Yampolsky. Ancient American Images: Prehistoric Barrier Canyon Rock Art: Photographs by Craig Law. On the Plains: Photographs by Peter Brown. 2000. Andrew Hogarth photographs Crow elder Heywood Big Day at the Rocks in Sydney, New South Wales, Australia. Heywood’s father William Big Day Senior was one of a group of tribal elders who in 1941 introduced the sacred Sun Dance Ceremony back to the Crow Nation in south eastern Montana. The Sun Dance Ceremony had been banned by the United States government for nearly six decades. 2001. 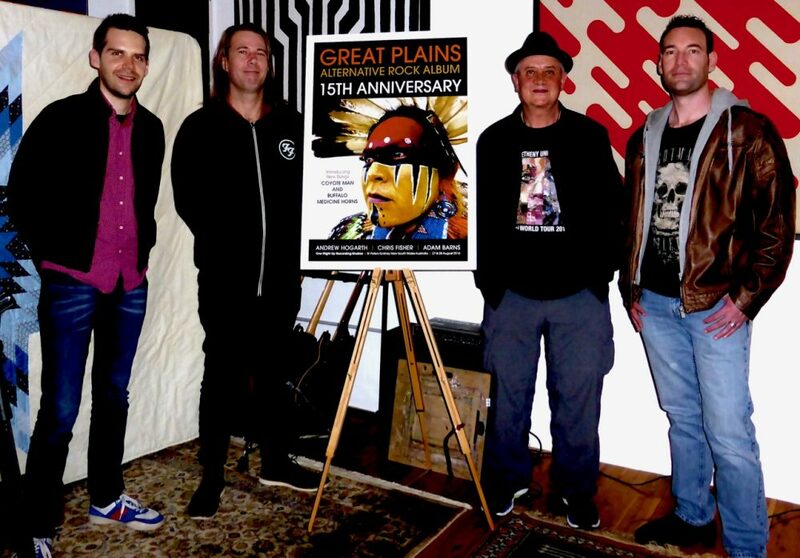 Southern Highlands musician Chris Fisher and Andrew Hogarth complete the contemporary popular eleven track rock album Great Plains. Recorded in Sydney, New South Wales, Australia over a eighteenth month period with Smokin and Jokin Studio engineer and producer Adam Barns. The lyrics for the songs: Sitting Bull, Medicine Water, In Dreams, Lightning Creek, Sweet Medicine, Crazy Horse, Hands of Time, Reach Up, Great Plains, Angel’s Play and Lakota Spirit are a combination of personal stories from Andrew Hogarth’s travels and historical research. 2001. A photographic image of the Fetterman Monument is published on the front cover of the Wyoming State Map “The Bozeman Trail: Gold Rush To Montana 1863-1868.” The map is a guide to wagon train routes, landmarks, and Indian fights along the historic Bozeman Trail The map was edited by Susan Badger Doyle and W.S. Neal. Susan Badger Doyle is a professional historian living in Pendleton, Oregon. Her Ph.D. dissertation dealt with intercultural dynamics in the Bozeman Trail. She is the editor of Journeys to the Land of Gold: Emigrants Diaries from the Bozeman Trail, 1863-1868, Montana Historical Society Press, 2000. W. S. Neal is a mapmaker and geologist living in Helena, Montana. His work includes maps of the historic Bannack and Alder Gulch gold camps in Montana. 2001. Photographic images of Sydney singer/songwriter Mark Lucas are published in the musical album booklet The Ghosts of Lost Creek Road. 2002. The Powwow: Native American Celebration exhibit is fully booked after only eighteen months of advertising by Exhibits USA. The three year national tour has sixteen venues in thirteen states with three double bookings. 2002. A photographic image of Khena Bullshields is published in the April issue of Native Peoples Magazine advertising the Powwow: Native American Celebration exhibit at the Clark County Museum in Las Vegas, Nevada. 2002. Craig Stokoe and Bruce Rayne at LPN Design, Mosman, NSW, Australia, design a 19,000 file web site titled Andrew Hogarth Publishing. The site details many of the photographic images and book publishing that forms the body of work that Andrew Hogarth has created over the last twenty years. 2003. A four page article is published by the Sun Herald Sunday Life Magazine in Sydney, NSW and Victoria, Australia. 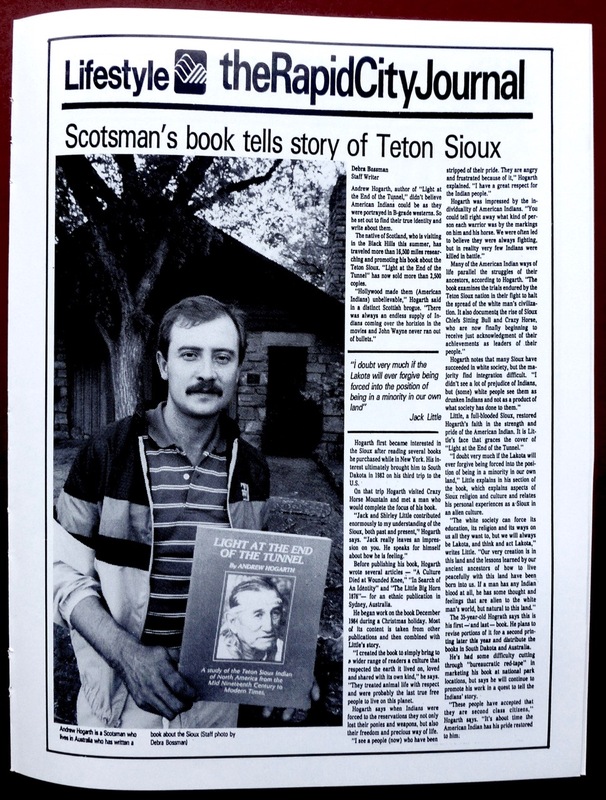 The article written and researched by Rosemarie Milsom examines areas of Andrew Hogarth’s life from his early upbringing on a housing estate in Edinburgh, Scotland to his extensive travels over the Great Plains of the USA recording stories of the Lakota-Sioux and Cheyenne Wars from the period 1854-1890. The article includes five published images of Cedric Walks Over-Ice, Jay Eagle, Bill Hayes, Kylie and Bert Attine and the Crow Fair Boy. 2003. 2,000 copies of Native Lands and Powwow lithographic limited edition photographic catalogues are printed by LPN Design, Mosman, NSW, Australia. 2006. Andrew Hogarth photographs Dr. Joe Medicine Crow and Hunkpapa-Lakota Tommy Christian (1995 National Powwow Champion) during the Annual Crow Fair in southeastern Montana. Joe Medicine Crow is the last traditional Plains War Chief, having achieved the war deeds necessary to be declared a “chief” during World War II. He served in Europe, and earned the Bronze Star, a US Forces individual military decoration for acts of bravery. Medicine Crow also received the National Order of the Legion of Honor from the French government on June 25, 2008. Joe Medicine Crow received the Presidential Medal of Freedom from sitting President Barrack Obama at the White House on August 12, 2009. 2007. Andrew Hogarth photographs musician David Paton in Sydney, New South Wales, Australia. Paton was visiting Australia to sing his worldwide hits Magic and January on the Molly Meldrum Countdown Spectacular. The singer/songwriter was the front man for Scottish rock band Pilot in the mid to late 1970’s. His musical credits include working with Sir. Paul McCartney, Elton John, Kate Bush, Alan Parsons Project, Rick Wakeman, Chris Rea, Eddi Reader, Camel and Keats. 2007. Princess Sheikha Jameela b. M. Al Qasimi from the United Arab Emirates accepts a gift of the 1987 photographic image of Kylie and Bert Attine from her close friend Trish Amichi. 2008. Two photographic images are published on the front cover and inside booklet of David Paton’s solo album Fellow Man. The cover image is Paha Sapa Sunset. Images of Paton and the Beatles are also included in the cover montage. 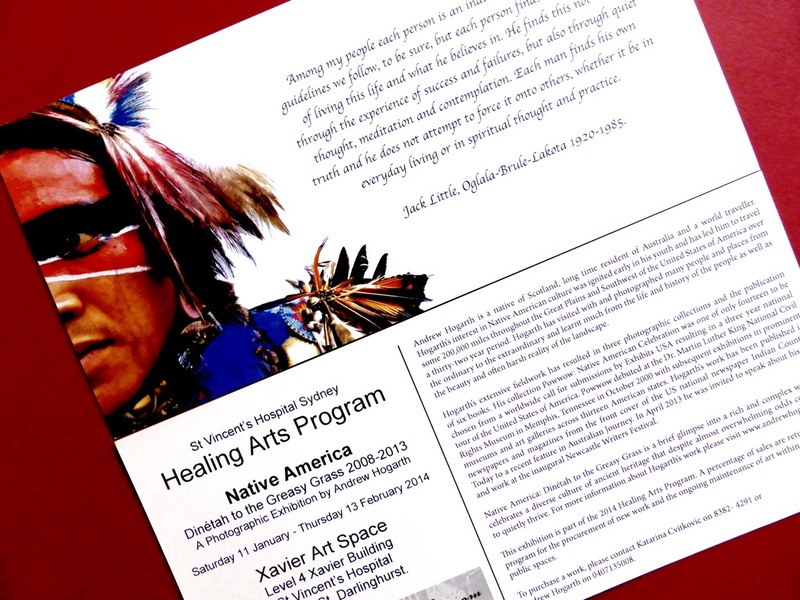 The booklet image is David Paton and Aboriginal elder Uncle Max Eulo at St. Mary’s Cathedral in Sydney, NSW, Australia. 2008. Andrew Hogarth travels to the Northern Great Plains visiting and photographing the Plains Indian Museum Powwow in Cody, Wyoming. Historical sites also photographed were Deer Medicine Rocks, the Powder River and Rosebud Battlefields in southeastern Montana, Fort Laramie and the Grattan Massacre Site in Wyoming. 2008. The Great Plains Retrospective 1981-2006 photographic exhibition debuts at St. Vincent’s Hospital, Darlinghurst, Sydney, New South Wales, Australia as part of the hospital’s Healing Art Program. Media reviews are published in the Sydney Morning Herald and the Sunday Telegraph, Sydney, NSW, Australia. 2009. Andrew Hogarth attends the Annual Crow Fair in southeastern Montana. During the course of the weekend events Hogarth photographs powwow dancers; Melvin Smith, Dan Namakin, Sun Sun Lehi, Gary Two-Feathers, Hahots Shebala and Alvin Yellow Owl. 2010. Andrew Hogarth travels to Castillo de San Marcos (Fort Marion) in St. Augustine, Florida, USA to shoot photographs of the historical Spanish Fort. Chief John Sipes great great grandfather War Chief Medicine Water of the Southern Cheyenne was imprisoned at the fort along with his warrior wife Mochi (Buffalo Calf Woman) and thirty-one other Cheyenne, Comanche and Kiowa warriors from the period 1875-1878. Historical sites also photographed were Fort Reno, Darlington Agency, Washita River, Sappa Creek, Cherry Creek, Beecher’s Island and Summit Springs in the states of Oklahoma, Kansas and Colorado, USA respectively. 2010. To celebrate the tenth anniversary of the Great Plains musical album, Andrew Hogarth introduces the music to cyberspace and the internet. The album is made available on Amazon and iTunes for downloading. The artistic music site MySpace is also home to Great Plains with the eleven track album not only displaying the music but still image video clips from the thirty year photographic collection bring a different dimension to the songs. 2010. To promote Indigenous Literacy Initiatives in North America and Australia Andrew Hogarth is invited to speak at the Bouddi Aboriginal Gallery in Killcare, NSW. The event has media coverage by Clare Graham of the Central Coast Express Advocate Newspaper. Hogarth is also live to air with presenter Brad Story on 92.5 ABC Central Coast Radio. 2011. Andrew Hogarth photographs Crow elder Pius Real Bird during Crow Native Days in southeastern Montana. Hogarth is invited by Jolene Walkslast to photograph the Northern Cheyenne Spiritual Walk from Deer Medicine Rocks to the Indian Memorial at the Little Bighorn Battlefield on the 25th of June, 2011. Photographic images of Northern Cheyenne Jonathan Maxwell Beartusk are shot at the Little Bighorn Indian Memorial. Jonathan’s great great grandfather was Chief Lame White Man who died defending his people during the attack by the Seventh Cavalry. Hogarth travels with Mike and Emily Ponyah and their six children to the Plains Indian Museum Powwow in Cody, Wyoming, and to the Brule-Lakota-Sioux Powwow on the Rosebud Reservation in South Dakota. Hogarth records a powerful photographic essay of a Native American family on the powwow trail. Historical sites also photographed were the Wagon Box Fight, Fort Phil Kearny, Fetterman Battlefield, Bear Butte, Black Hills Expedition 1874 and Wounded Knee. 2011. In November Hogarth and Wyoming based artist Denny Karchner collaborated on a painting of Lakota-Sioux Jay Eagle. 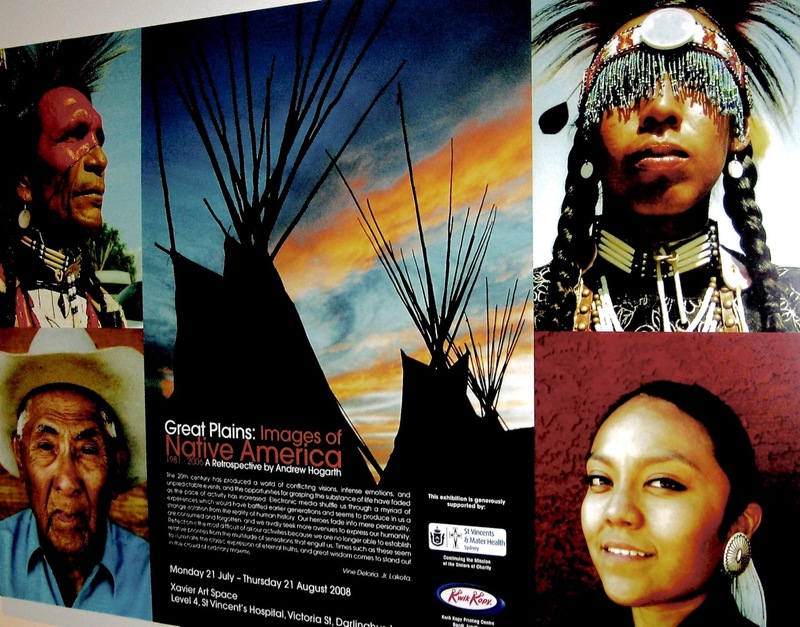 The image was the signature photograph from the Powwow: Native American Celebration exhibition that debuted at the Graphis Fine Art Gallery in Sydney, Australia in early 1997. 2013. In early January Hogarth’s three decades of Great Plains and Southwest travels were featured on the front cover and complimented with a eight page spread in the Australian Journey Magazine by Blackhawk Publishing in Tasmania. Other featured articles were Andrew Upton and Cate Blanchett’s Sydney Theatre Company and Canadian Based Touring Arts Company Cirque du Soleil. 2013. In March Hogarth and Florida based artist Denny Karchner again collaborated on a second painting of the 1992 film image of Danny Reyes a senior powwow dancer of the Cheyenne Nation in Oklahoma. The image was taken at the Cheyenne-Arapaho Colony Powwow in western Oklahoma. 2013. 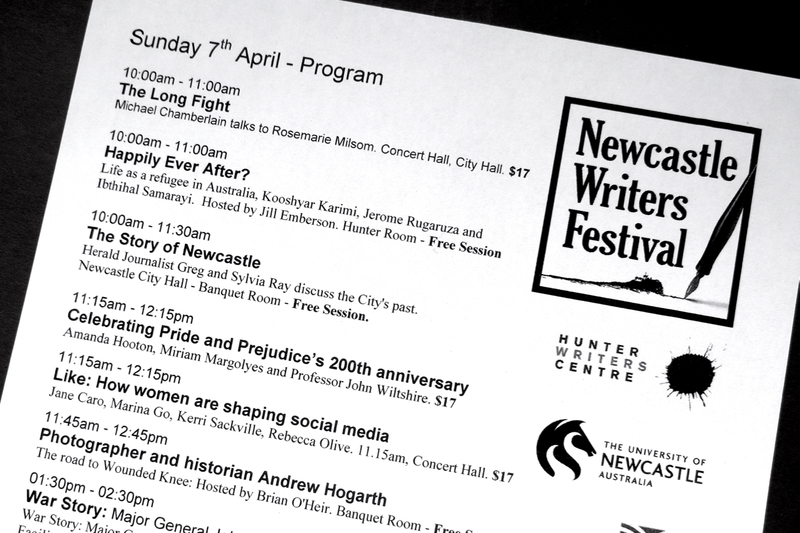 In April, 2013 Hogarth was one of sixty-four journalists writers and artists across Australia picked to speak at the inaugural Newcastle Writers Festival. The event included talks by Michael Chamberlain, Greg Ray, Monica Trapaga, Major General John Cantwell, Peter Skrynecki, Stuart Littlemore, John Turnbull, Jaye Ford, Jane Caro, Hilary Linstead, Nancy Knudsen, Jack Dann, Janeen Webb, Margo Lanagan, Kerri Sackville, Marina Go, Kooshyar Karimi, Jerome Rugaruza, Ibthihal Samarayi, Wendy James, Caroline Overington, Rebecca Olive, John Wiltshire, Amanda Hooton, Miriam Margolyes, Courtney Collins, Cathryn Hein, Barry Maitland, Mark Tedeschi, Dan Proudman, Andy Muir, Michael Sala, Marion Halligan, Pip Newling, Jesse Blackadder, LA Larkin, Chris Turney, Kirstyn McDermott, Jason Nahrung, Robert Drewe, Patrick Cullen, Ryan O’Neill, Janet Hawley, Brett Keeble, Will Swanton, Andrew Webster, Ramona Koval, Cathryn Hein, Deborah Challinor, Kaz Delaney, Michelle Douglas, Kate Middleton, Alan Wearne, Lexxie Couper, Anita Heiss, Alexa Moses, Felicity Pulman, Steve Lewis, Chris Uhlmann, Janet Hawley, David Musgrave, Jean Kent, Phillip Salom, Anna Kerdjik Nicholson. 2013. Hogarth collaborated with fellow countryman singer/songwriter Karl Broadie from Edinburgh, Scotland in May, 2013 shooting a series of images with one profile image selected for the front cover of Broadie’s fifth album titled “A-Side, B-Side, Seaside.” The album was selected later that year for a Tamworth Golden Guitar for Alternative/Country Album of the Year. 2014. 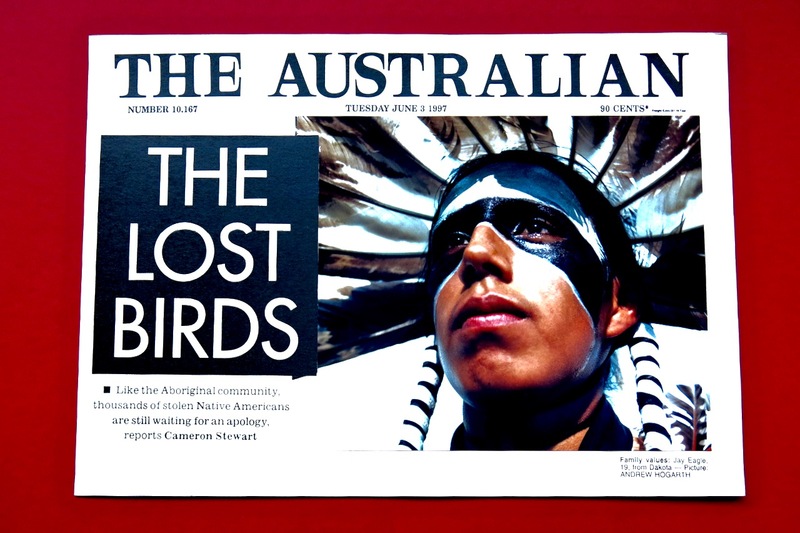 The Independent City Hub Newspaper publish a story highlighting the Native America: Dinetah to the Greasy Grass Digital Photographic Exhibition 2008-2013 at St. Vincent’s Hospital, Sydney, New South Wales, Australia. 2014. Hogarth records a live interview at Eastside 89.7FM Radio Station in the Sydney suburb of Paddington with presenter Angela Stretch talking about his current digital photographic exhibition Native America: Dinetah to the Greasy Grass 2008-2013 exhibiting at St. Vincent’s Hospital as part of their “Healing Arts Program” and storytelling from his 200,000 mile trek across the Great Plains and Southwest of the United States of America from 1981-2013. Songs from the Great Plains album “Sitting Bull” and “Crazy Horse “ were highlighted live to air during the thirty minute segment. 2014. Chris Virtue the Saturday evening presenter at 2RRR 88.5FM Radio Station in the suburb of Gladesville, Sydney, New South Wales, Australia interviews Hogarth in late January live to air discussing the Native America : Dinetah to the Greasy Grass 2008-2013 digital photographic exhibition and playing a selection of tracks from the Great Plains album from 2000-2001 in the one hour segment. 2015. Hogarth archives his digital image collection that is titled after the recent 2014 exhibition at St. Vincent’s Hospital in Sydney, New South Wales, Australia. Native America: Dinetah to the Greasy Grass 2008-2013 houses three hundred and thirty-seven images in original and modified titles. 2015. Hogarth is interviewed by Olivia Bratsanos and the questions and answers format titled “The Scottish Lone Ranger” highlights all aspects of his life’s journey from Edinburgh, Scotland to Sydney, Australia and his remarkable 200,000 mile journey across the Great Plains of the United States of America over a thirty-two year period. 2015. Hogarth’s 2013 image of Navajo Powwow Dancer Calvert Dixon is published on the 94th Gallup Inter-Tribal Indian Ceremonial Rodeo Poster for 2015. 2015. Hogarth creates eleven video clips of his Great Plains images to be highlighted with the songs from the album of the same name. The video clips are highlighted of music websites YouTube, Vimeo, MySpace, ReverbNation and SoundCloud. 2015. In August Hogarth and Florida based artist Denny Karchner again collaborated on a third painting in the five image series. The image is from one of Hogarth’s 1984 image of Oglala-Brule-Lakota Jack Little. The painting has been commissioned to celebrate the thirtieth anniversary of Jack’s sudden death on the 25th of November, 1985. 2016. Andrew Hogarth and Chris Fisher meet up for the first time in late January for the first time since the completion of the Great Plains album in 2001. During their meeting it is decided to record two new songs “Coyote Man” and “Buffalo Medicine Horns” to celebrate the fifteenth anniversary of the album. The two lyrics were written by Hogarth in 2009 for a project with a Scottish band. 2016. In February Hogarth and Florida based artist Denny Karchner again collaborated on the fourth painting in the five image series. The image is from one of Hogarth’s 2013 images of Calvert Dixon a Navajo powwow dancer from Taylor, Arizona. 2016. In late August Andrew Hogarth, Chris Fisher and Adam Barns record Coyote Man and Buffalo Medicine Horns at Nick Irving’s One Flight Up Recording Studios in the Sydney Suburb of St. Peters to celebrate the 15th anniversary of the original eleven track Great Plains Alternative Rock Album. 2016. In September both Coyote Man and Buffalo Medicine Horns are played back to back on the prestigious Max and the Ducks Radio Show by Radio Finlanda in Spain’s Costa del Sol region. 2016. In early October the new songs Coyote Man and Buffalo Medicine Horns with their video clips from the studio recordings are uploaded to iTunes, Amazon, SoundCloud, ReverbNation, Vimeo and YouTube plus a host of other prominent music websites. 2017. In early March Andrew Hogarth Publishing media and publishing material is edited and archived into nine boxes. The material covers over three decades of artistic creative work dealing with the Lakota-Sioux and Cheyenne Native Americans from the Great Plains region of the United States of America plus numerous other nations. The website andrewhogarth.net is upgraded for educational purposes and interested parties on the worldwide web. 2017. The final three chapters for the Great Plains Stories will be “Comanche Moon Trails 2017” and the final chapter will be titled “Free As A Bird 2018.” The third chapter to be completed will be titled “Fond Memories 1951-2018.” It will deal with a look back and a overview of the complete Andrew Hogarth Publishing body of work in books, photographic exhibitions and music. 2017. To close out the calendar year Andrew Hogarth, Chris Fisher and Adam Barns return back to Nick Irving’s One Flight Up Recording Studios in the Sydney suburb of St. Peters New South Wales, Australia to record the final three songs Comanche Moon, Big Hole and Children of the Mist for the Great Plains Alternative Rock Album. 2018. Hogarth, Fisher and Barns head back into Nick Irving’s One Flight Up Recording Studios in early January to finish of the musical production work for Comanche Moon, Big Hole and Children of the Mist. 2018. 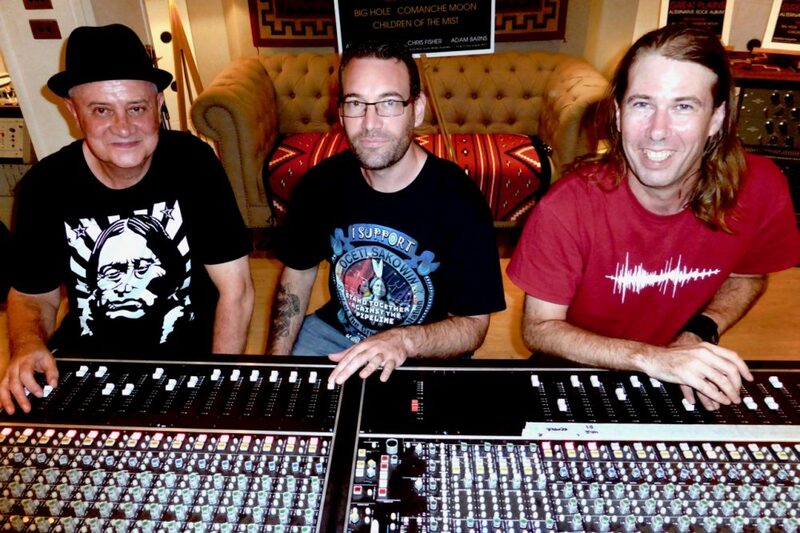 In late March Hogarth, Fisher and Barns mix and master the three final new songs Comanche Moon, Big Hole and Children of the Mist again at Nick Irving’s One Flight Up Recording Studios which completes the eighteen year Great Plains Alternative Rock Album project. 2018. 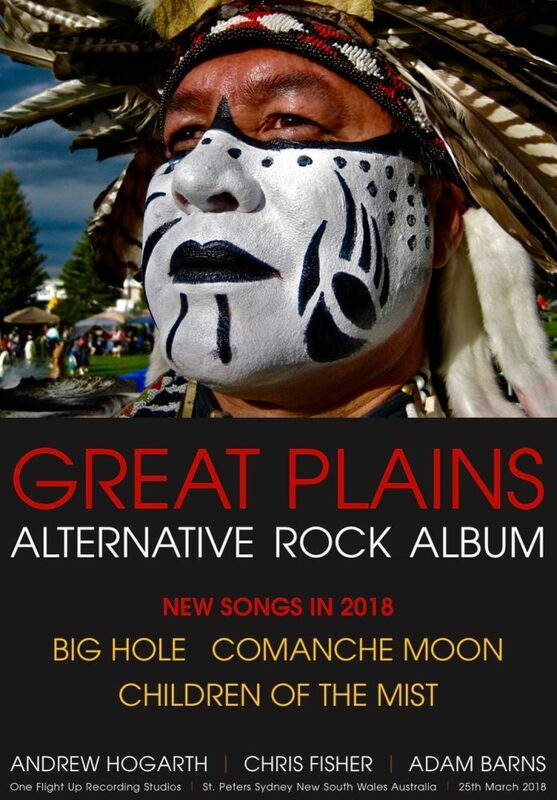 In late March Hogarth uploads the three new Great Plains songs Comanche Moon, Big Hole and Children of the Mist with their accompanying iMovie Video Clips to YouTube and Vimeo. The Andrew Hogarth and Chris Fisher YouTube Channel now has the entire sixteen songs and videos clips online for the Great Plains Alternative Rock Album 2000-2018. 2018. On Anzac Day in Australia Andrew Hogarth and Chris Fisher are invited by 2RRR 88.5 FM Gladesville Community Radio Station presenter Chris Virtue to speak on his Saturday evening show “Virtual Unreality” about their eighteen year Great Plains Alternative Rock Album and its final three new songs Comanche Moon, Big Hole and Children of the Mist. 2018. Hogarth completes his thirty-five Great Plains Stories Chapters in early May with 4120 pages in total that includes text and imagery from his extensive thirty-two years 200,000 miles travelling the Great Plains of the United States of America from 1981-2013. Plus story and images about his life growing up in Edinburgh, Scotland and also his life at his home base of Sydney, New South Wales, Australia. 2018. 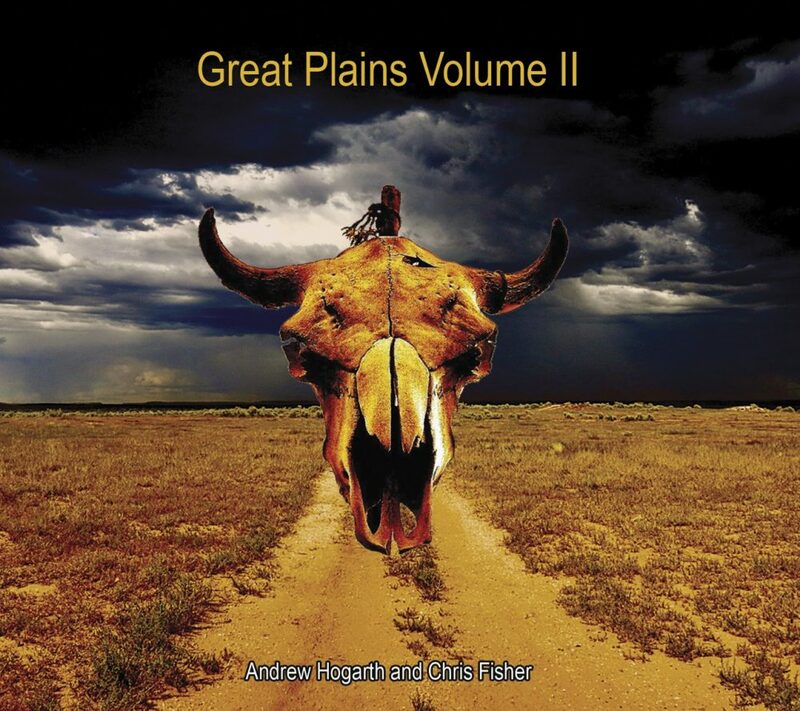 In late July Andrew Hogarth and Chris Fisher release their new album “Great Plains Volume II” The album contains five new songs Coyote Man, Buffalo Medicine Horns, Big Hole, Children of the Mist and Comanche Moon. Plus five instrumental versions of the above mentioned tracks. The album is presented in a four panel digipak with colour image on the disc and a sixteen page colour booklet with images, liner notes and lyrics. 2018. 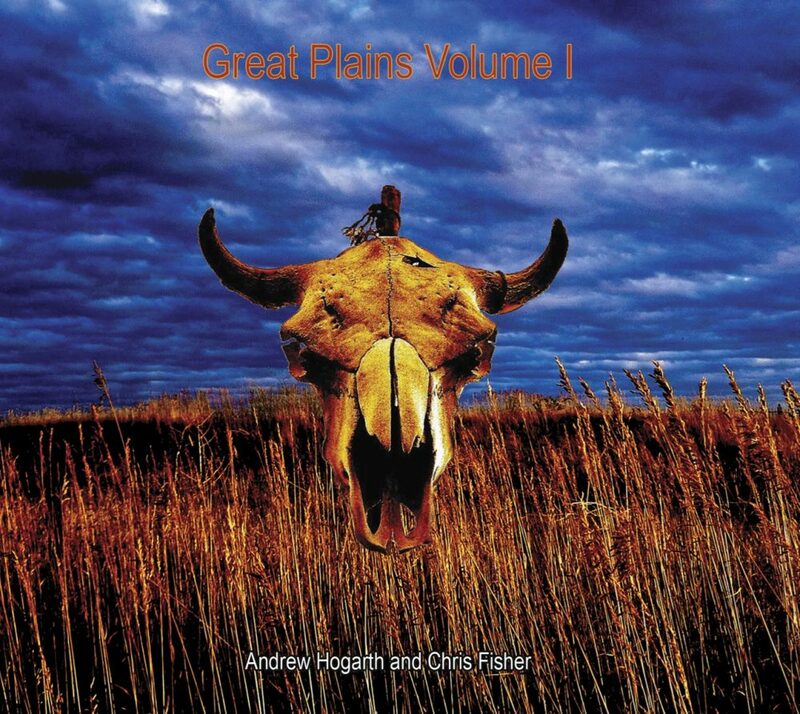 In late July Andrew Hogarth and Chris Fisher also reissue their original album “Great Plains Volume I” from 2000-2001. The album contains the original eleven songs, Sitting Bull, Medicine Water, In Dreams, Lightning Creek, Sweet Medicine, Crazy Horse, Hands of Time, Reach Up, Great Plains, Angels’ Play and Lakota Spirit. The album like volume two is presented in a four panel digipak with colour image on the disc and a twenty-eight page colour booklet with images, liner notes and lyrics. 2018. Hogarth’s photographic image of good friend and fellow artist Mark Lucas is published on the front cover of Mark’s “Prisoners of the Heart” a twenty-two year retrospective of song highlights from 1996-2018. 2018. In early August Andrew Hogarth at the age of sixty-seven officially retires as a working artist with his extensive body of work consisting of six published books and booklets and two second editions. With twenty-eight photographic exhibitions in Australia and the United States of America. And a collaboration with Australian musician Chris Fisher writing and producing sixteen songs for the Great Plains Alternative Rock Albums Volume I and also Volume II from 2000-2018. Great Plains Stories 1951-2018 by Andrew Hogarth. Chapter 1 Hollywood Indians, Little Bighorn to Wounded Knee, USA, 2006. Chapter 2 Scottish Upbringing, Edinburgh Scotland, 1951-1981. Chapter 3 Life in Sydney, New South Wales, Australia, 1975-2004. Chapter 4 Sitting Bull and Crazy Horse, Great Plains, USA, 1831-1890. Chapter 5 Jack Little, Black Hills, South Dakota, USA, 1982-1985. Chapter 6 Custer, Black Hills, South Dakota, USA, 1982-1999. Chapter 7 Sappa Creek, Rawlins County, Kansas, USA, 1990-1992. Chapter 8 Locals and History, Great Plains, USA, 1982-1999. Chapter 9 Farmers Tales, Great Plains, USA, 1982-1999. Chapter 10 Dakota Territory Trading Post, South Dakota, USA, 1995-1999. Chapter 11 Hanging Out With The Locals, Great Plains, USA, 1982-1999. Chapter 12 Famous People, Scotland, Australia and the USA, 1981-2001. Chapter 13 Stormy Weather, Great Plains, USA, 1984-1999. Chapter 14 Law Enforcement, Great Plains, USA, 1985-1999. Chapter 15 Strange Happenings, Scotland and the USA, 1963-1999. Chapter 16 Book Selling, Sydney, Australia, 1984-1994. Chapter 17 Book Selling: The Great Plains, USA, 1995-1999. Chapter 18 Photographic Exhibitions: Australia & USA, 1994-1998. Chapter 19 Powwow Stories, Great Plains, USA, 1995-1999. Chapter 20 Northern Plains Stories, Great Plains, USA, 1984-1999. Chapter 21 Southern Plains Stories, Great Plains, USA, 1984-1999. Chapter 22 Great Plains Stories, 1999, USA, 1999. Chapter 23 Great Plains Alternative Rock Album, Sydney, Australia, 2001. Chapter 24 Windows to Another World, 1981-2001. Chapter 25 Where Are They Now, Great Plains, USA, 2001. Chapter 26 Great Plains, Montana, USA, 2008. Chapter 27 An Artist’s Life, Great Plains, USA, 2009. Chapter 28 Dog Soldier Trails, Great Plains, USA, 2010. Chapter 29 The Mulberry Tree, Northern Great Plains, USA, 2011. Chapter 30 The Scottish Lone Ranger, Sydney, Great Plains, USA, 2012-2015. Chapter 31 The Healing Arts, Sydney, New South Wales, Australia, 2014-2015. Chapter 32 Great Plains Rock Album 15th Anniversary, Sydney, Australia, 2016. Chapter 33 Comanche Moon Trails, Sydney, New South Wales, Australia, 2017. Chapter 34 Free As A Bird, Sydney, New South Wales, Australia, 2018. Chapter 35 Fond Memories, Edinburgh, Sydney, Great Plains, USA ,1951-2018. Don Blaylock, Donna Lewis, Steve Alexander, John Stanley, Patty Stanley, Bernard Quintilani, Julie Frankman Hoff, Barbra Guth, Bill Hustead, Ted Hustead, Sasha Erickson, Kester Erickson, Debra White Plume, Mary Ellen McWilliams, Jack Bailey, Mark Burke, John Burke, Dave Thomson, Gerald Massela, Amanda Rees, Sunshine Grimes, Vladimir Laletin, Malcolm Andrews, Rob Inder-Smith, Michael North, Steve Summerhayes, Lisa Summerhayes, Paul Farley, Trevor Neville, Andrew McNeill, Edwin Mearns, Peter Gatehouse, Paula Jeffries, Annie Carretero, Dudley Ryan, Andree Fraser, Ian Watson, Stuart McMillian, Jerry Jutovsky, Tony Townsend, Gully Smith, Stephanie Smith, Laurie and Barbra Hogan, Vito Torpia, Bruce Mearns, Peter Hammond, Diane Danna, Lana Tamindzic, Bernie Hayes, Suzie Baird, Sandra Radice, Daphne Guinness, Anthong K. Rule, Bruce Cornwall, Vince Murdocca, David Priestley, Alan Tasker, Greg Long, Sandra S. Odor, Cathy Parkinson, Dieter Chidel, James Batman, Greg Barnsley, Claire Knowles, Miles Stewart, Angus Murray, Larry Musolino, Adam Barns, Clive Limpan, Warren Costello, Doctor John McNamara, Meredith Brooks, Paul Gillian, Hector McFarlane, Anita Maher, Chris Gavellas, Kevin Trainor, Bill Vilhaber, Carmen Monseratt, Bronween Bashford, Madeleine Randell, Brain Cook, Barram Habibi, Victor Voets, Gordon Syron, Rosemarie Milson, Mike Muir, Mark Queenan, Patirck Griffin, Ros Lawson, Brendon DeCini, Cathryn Harris, Greg Windsor, Marianne Bilkey, Sarah Bowing, David Mason, Sophie Tedmanson, Leah Firehorse, Cameron Stewart, George Pal, David Liu, Peter King, Rob Liberato, Michael Glendinning, Roger Conway, Mike Stringer, Bruce Rayne, David Maxwell, John Hartigan, Brian Purkiss, Barbra Comeskey, Warrick and Tanya Hand, Caroline Chisholm, Pauline Bailey, Mathew Ambulah, Adam Walters, Raychell McBain, Anthony Grustein, Angus Perrin, Tom Pearson, Brian Woodward, Stewart Hawkins, Andre Deutsch, Marie Trefely-Deucth, Duncan Carter, Blanche Murray, David Dawson, Ethol Bohnhoff, Stephen Day, Matt Ody, Jonathan Maxwell Beartusk, Jim Croft, Julian Somosi, Alex Dimitriadis, Desi Dryfon, Mike Earnst, Guy Hando, Denny Karchner, Mark Lucas, Brian Littler, Erin O’Dwyer, David Paton, Troy Patrick, Doctor Mark Penny, Victor Tabbish, Eddie Tabbish, Larry Tabbish, Rafael Tabbish, Uno Grevberg, Noel Vaughan, Judy Vaughan, Diane Vaughan, Craig Vaughan, Shane Meers, Barbra Van der Made, Brett Weiss, Tony Mowad, Trish Amichi, Lisa Coveny, Ben Dilger, James Mark Sechos, Linda Grady, Judith Dupree, Roger Vela, Katerina Cvitkovic, Tobi Wilkinson, Alex Robertson, Maureen Robertson, Lester Sayan, Nick Irving, Jake Baillie, Damien Vaughan, Harry Vaughan, Kitty Blackman.